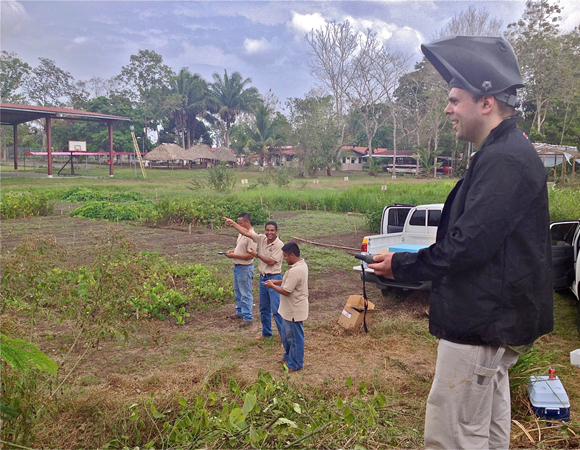 UNAVCO staff installed 3 new COCONet continuous GPS/MET sites in Panama, which complement the previously installed CN33 (ca. November 2011) continuous GPS/MET site. 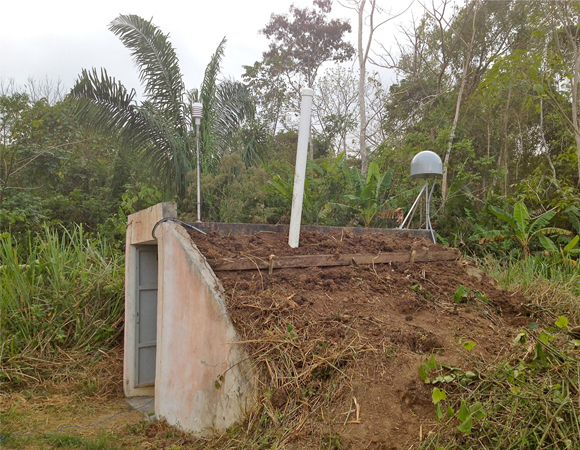 A total of 4 new COCONet cGPS and meteorological sites (CN20, CN28, CN33, and CN34) are now operational in Panama. 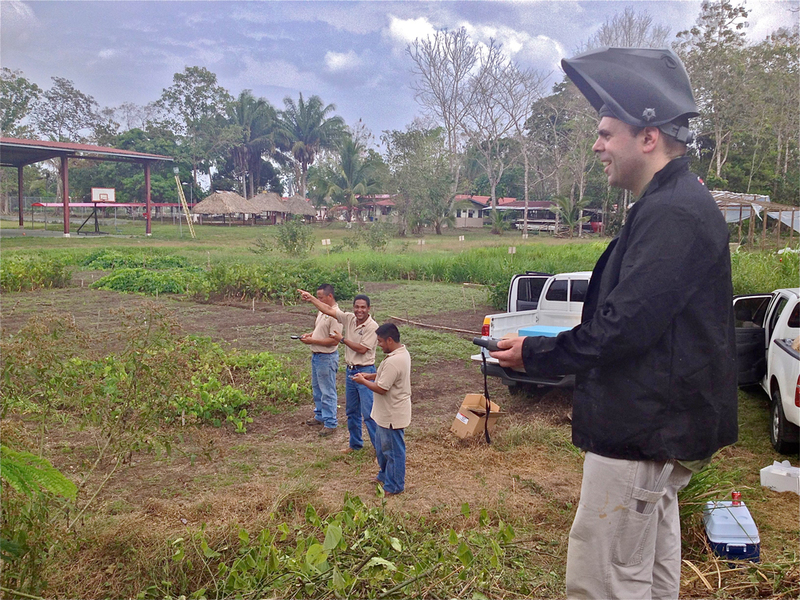 In addition, COCONet is receiving continuous GPS data from four partner stations, ACP6, ACP1 (operated by the Autoridad del Canal de Panamá), ACHO (MET also), and VLCN (operated by Dr. Peter LaFemina of Penn State University). 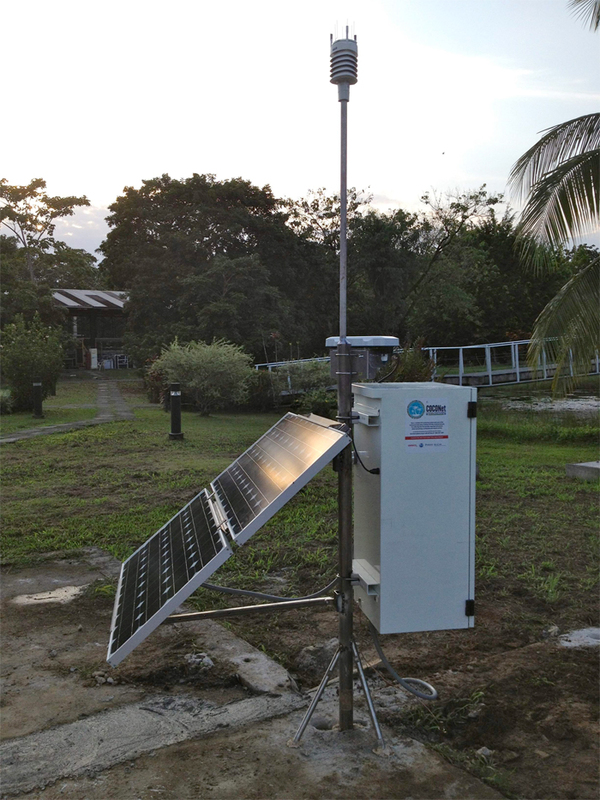 The 3 new COCONet stations were installed with assistance from the Universidad de Panamá, Instituto de Geociencias who provided logistical and customs assistance. CN34 was installed on March 6, 2013 near Metetí in the Darien Province. It is a building mount monument, situated on top of a broadband seismometer bunker building constructed of concrete-filled block, located at a satellite campus of the Universidad de Panamá. 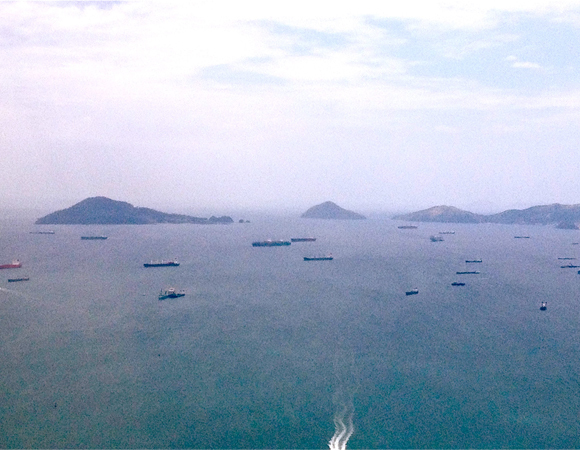 Communications are provided by a VSAT terminal maintained by OSOP, a private company in Volcan, Panamá that operates the National Seismic Network for the Panamánian Instituto de Geociencias. This is the same style of monument and communications system utilized at the previously constructed CN33 site in Penonomé. 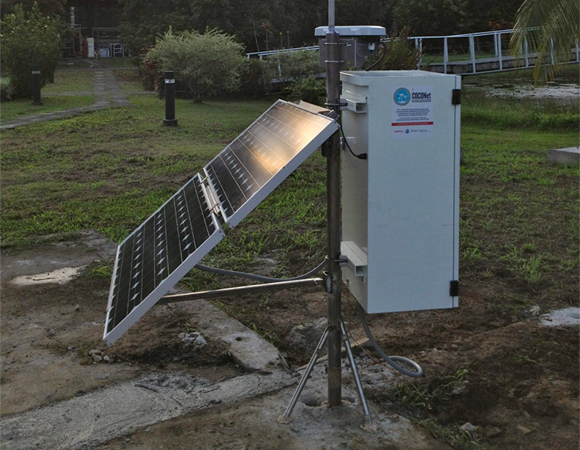 Two of the continuous GPS sites (CN33 and CN34) in Panamá are co-located with broadband seismometers. The antenna at CN33 was swapped on March 7, 2013 from a Zephyr II to a Trimble Choke Ring, and a radome was added. In addition, a communications problem was resolved at the site, caused in part by a nationwide power outage on February 25th, 2013. Figure 1. COCONet site CN34 located in Meteti, Darien Province, Panama is built on top of concrete seismic bunker operated by the Instituto de Geociencias. Photo by Kyle Bohnenstiehl. Figure 2. Large container and bulk carrier ships await their turn to enter the Panama Canal Pacific Ocean entrance at the Bridge of the Americas. Photo by Kyle Bohnenstiehl. Figure 3. 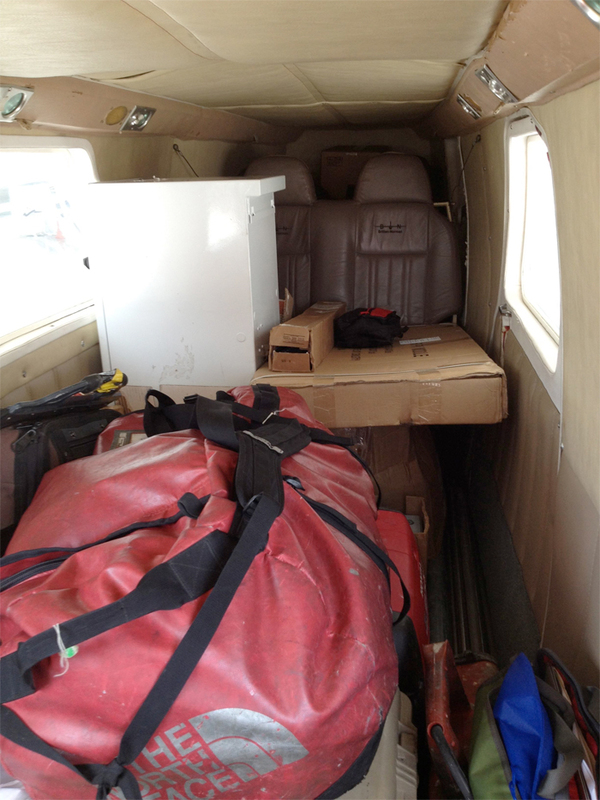 COCONet tooling and supplies are designed to be carried in small aircraft and boats, increasing the chances of finding a good GPS location. Photo by Kyle Bohnenstiehl. 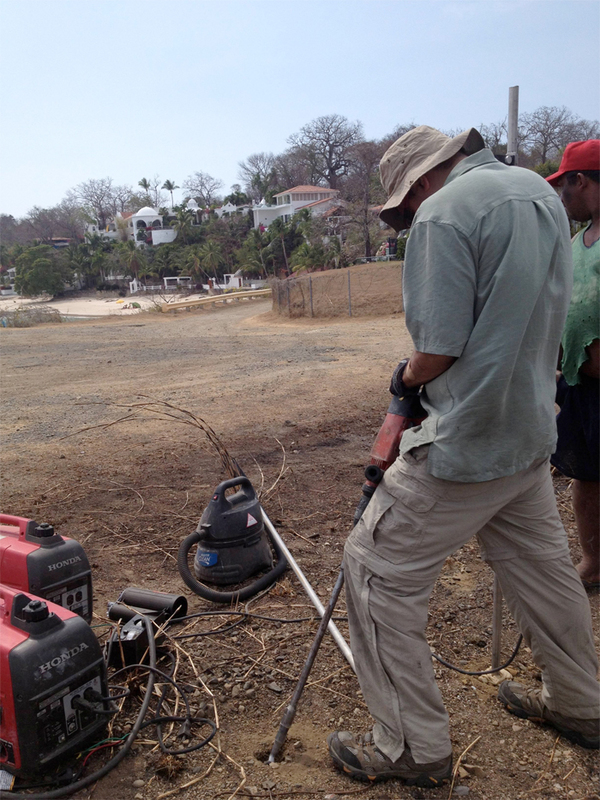 On March 8th, the installation team mobilized to Almirante where equipment was loaded onto a small boat for the 45 minute crossing to the Bocas del Toro archipelago. CN20 was constructed as a short-drill braced monument on the grounds of the Smithsonian Tropical Research Institute (STRI). This site utilizes a BGAN terminal to transmit data to the UNAVCO data archive. GPS Data from this site will be utilized by researchers looking at Quaternary sea level changes, including Dr. Marguerite A. Toscano of the Smithsonian Institution in Washington, DC and her colleagues. In addition, the meteorological data will be utilized by visiting scientists to the STRI facility, who conduct a wide variety research projects that are influenced in part by local weather conditions. 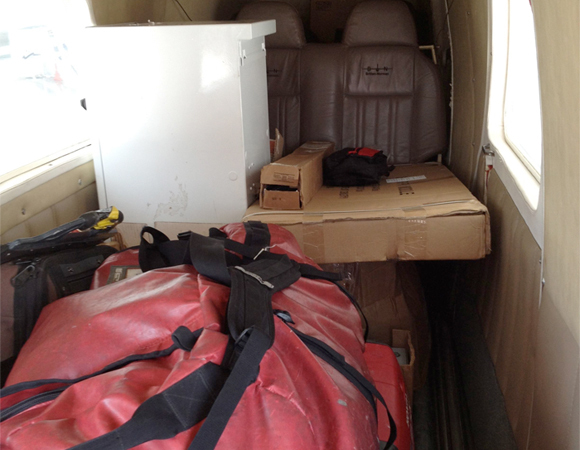 On March 13th, 900 pounds of equipment and tools for continuous GPS site CN28 were loaded onto a BN-2B Islander aircraft and flown to Contadora Island, located in the Pearl Islands chain in the Pacific Ocean, 70 miles from Panamá City. 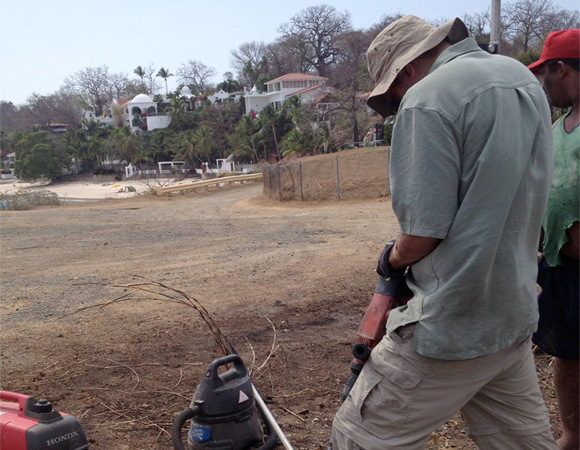 A bedrock site near the airstrip was selected for station CN28 and and construction proceeded quickly with help from local mayor and head of Airport Operations in Contadora, José Feullet.. Additional assistance was provided by Servicio Nacional Aeronaval staff located on Contadora Island. This site utilizes a cellular modem for data transmission. 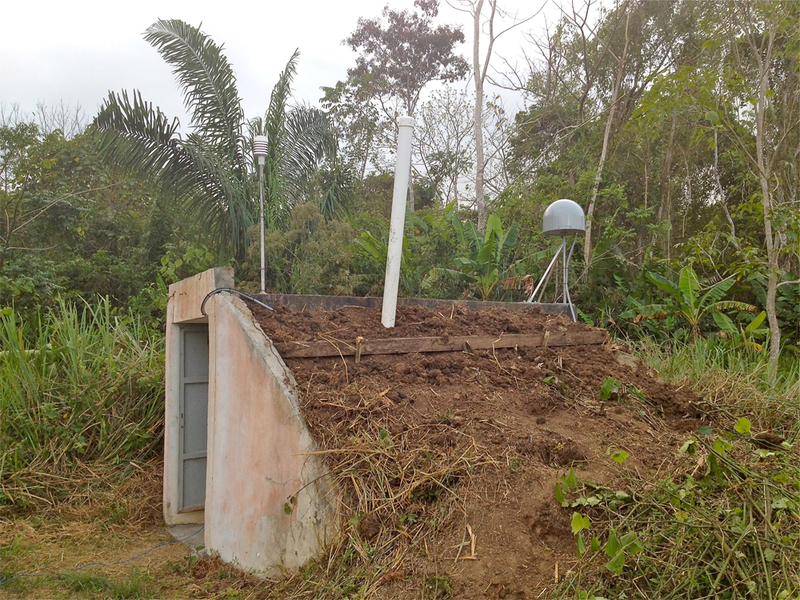 Access to the data of four new COCONet sites in Panamá that are transmitting cGPS and Meteorlogical data: Data Archive Interface at UNAVCO.